Most adults in America believe that a smile is an important social asset. 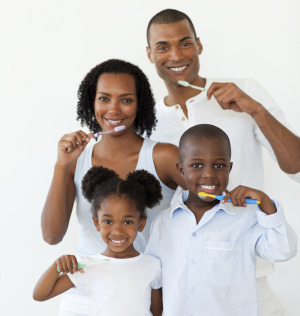 At Haddon Family Dentistry we provide restorative dentistry procedures that give you something to smile about. With time teeth can become a little less aesthetic or a patient may suffer from a dental trauma and need some dental restoration. Teeth whitening - Bleaches teeth up to 8 shades whiter! Root Canal therapy - Cleans the root canal and seals it from decay. Root canal therapy saves teeth. The desire for whiter teeth is the number one aesthetic concern of most patients. It’s true. Poor dental hygiene, foods and beverages, tobacco, genetics and aging, medications and disease, and other factors contribute to discoloration of our teeth. But, there is a solution! Our process at Haddon Family Dentistry is a simple one and involves only two office visits. At the first appointment, impressions—or molds—are made of your teeth which we use to make your custom, clear plastic trays. At your second appointment, you try on the trays for proper fit, and we provide you with a special whitening solution. And, of course we provide you with full instruction about the whitening process and answer any questions you may have. In the privacy of your home—or wherever you are comfortable—you fill the trays with the special whitening solution and wear them as directed. Then what? It’s simple…enjoy your new bright white smile! Nearly 70 percent of people in the age range of 35 - 44 have lost at least one tooth due to an accident, or due to dental issues such as gum disease or tooth decay. Whether you are missing one tooth or several, a partial or complete denture can restore your smile. While dentures are not a new option for missing teeth, the technological advancements making them more comfortable, convenient, effective, and attractive are. To learn more about dentures can resolve functional and aesthetic dental concerns, please contact our office. Haddon Family Dentistry is conveniently located in Haddonfield apart of Haddon Township near Westmont, Collingswood, and Cherry Hill. Do you have questions about our restorative dental services? Then please call us today!